And how to break the vicious cycle. 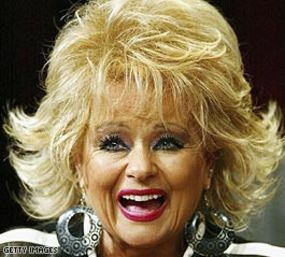 So said Tammy Faye Bakker, the late gospel singer whose extravagant mane suggested a lifetime spent exorcising her own psychological demons at the hair salon. But no laughing, Tammy was onto something. A well-timed trip to the mall is a long-approved variety of psychic medicine. No matter how preposterously officious the term "retail therapy" might sound to you, research has consistently found that shopping our way out of an emotional hole really does work. The dark side of materialism as a tonic is that shopping bags aren't a great replacement for friendships. Loneliness can make us materialistic. Feeling isolated makes us anxious, which makes us less likely to get up the energy to make and maintain connections that would make us feel less alone. So, in the hunt for immediate pleasure, some people turn to shopping. But medicating our loneliness at the mall can make us lonelier, over time, as shoppers begin to learn that it is challenging to form a meaningful relationship with a wristwatch or brag about one's children to a porcelain vase. This vicious cycle, "the loneliness loop," has been studied by economists for more than a decade. But surely, if retail therapy can be medicine, there must be a way for shopping to make us feel less lonely, right? There is, Rik Pieters argues in a fascinating new article in the Journal of Consumer Research (pdf). But to understand how, we need to get our terms right. Lonely, I think we all get. But what are we talking about when we talk about materialists? Economists have suggested there are actually three flavors of materialism: "acquisition centrality, possession-defined success, and acquisition as the source of happiness." These are horrible terms. So let's re-term them Materialism A, B, and C. As we're about to see, it matters very much which brand of materialism you affiliate with. - Materialism A ("acquisition centrality") is your classic shopoholic. These materialists like shopping for the experience. They like owning nice stuff, because, hey, it's nice stuff. They are comforted by the aura of luxury. - Materialism B ("possession-defined success") is your classic Keeping-Up-With-the-Jones' folks. These materialists buy new things because they're constantly comparing their lot to others'. - Materialism C ("acquisition as source of happiness") is your classic middle-age crisis, the fogey who buys a Porsche because he thinks it will make him feel young again. These materialists buy things because they feel an emotional deficit in their life that they want to fill with stuff. They have a very clear idea that some thing will make them happier. Valuing material possessions as a measure of success and as a medicine for happiness were associated with increases in loneliness over time, and loneliness in its turn was associated with increases in these subtypes of materialism. Jointly, this forms the vicious side of the materialism-loneliness cycle, which perpetuates once it is formed. Ironically, it's the maligned shopoholics who seem to have it right, and they might hold the key to breaking the vicious cycle of loneliness and consumption. "Valuing possessions as a source of material mirth in life was associated with decreases in loneliness over time," Pieters found, surprisingly. And loneliness didn't increase that kind of materialism, either. What does that actually mean for lonely shoppers? Understand that when you buy a shoe, you're not buying that one missing slice of happiness. You're not buying a magical bauble that will win you the stunning admiration of friends and colleagues. You are buying ... a shoe. You like shoes? Go buy shoes. It might even make you happier. But a shoe is just a shoe. There is a kind of intellectual honesty to the purest brand of materialism.